An all new smartphone from LG, LG Spirit with out of the box features and unique design that will grab everybody's attraction wherever you go. Flaunt it with style and elegance! The 11.9cm (4.7) HD screen with integrated touch sensors and beautifully curved design reflects 16 Million colours for clear, bright and crisp viewing experience. The resolution of this vivid phone is HD (1280*720) with stunning 312PPI Display. The robust 1.3GHZ Quad Core Processor enables seamless multitasking and dynamic performance without any slowdown. The phone runs on the latest Operating System, Android Lollipop with amazing features like voice search, LG true caller, smart keyboard and many more. Share your favourite pictures, videos, music and more via Bluetooth; connect your phone and PC with USB. Browse for the world's latest updates with Android Webkit Browser via WiFi connectivity. The 8MP Camera with LED Flash possess some state-of-the-art features like Gesture Shot – open your hand to activate the camera and it starts the countdown once you close your hand. With the Touch & Shoot feature of this auto focus camera, you can instantly capture images by touching anywhere on the screen. The Front Camera Light of the 1MP Camera lets you capture clear selfies even in dark. 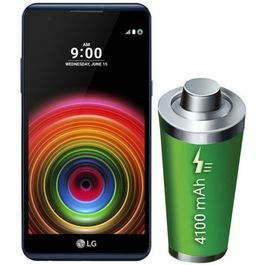 LG Spirit is powered with a strong 2,100 mAh Battery for usage that lasts all day long. The phone comes with Internal Memory of 8GB that can be expandable up to 32GB. It features dynamic memory for Phonebook, Messages, Calendar, Call History and Email. 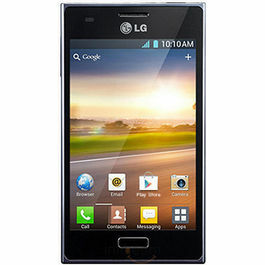 The phone supports ample multimedia features that include music player, FM player, video recording and more. Enjoy hassle free game playing experience with your LG Spirit. The phone is packed with some other great features like Knock Code – 86,000 possible codes with personalized pattern for secured access to your home screen, Rear Key – for volume control and easy shortcuts placed directly under your index finger when held in-hand. Quickcircle Case, this window makes easy access to the six most used apps by you. 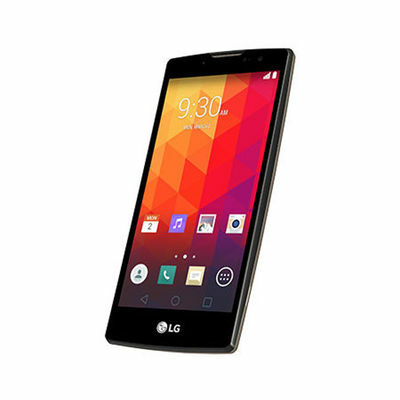 Smartphones that'll go along your standard personality is what LG Mobiles array promises. 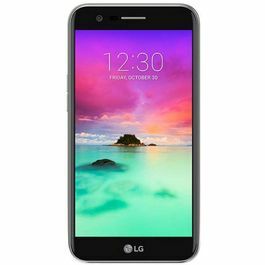 An all new smartphone from LG, LG Spirit with out of the box features and unique design that will grab everybody's attraction wherever you go. Flaunt it with style and elegance!Design & DisplayThe 11.9cm (4.7) HD screen with integrated touch sensors and beautifully curved design reflects 16 Million colours for clear, bright and crisp viewing experience. The resolution of this vivid phone is HD (1280*720) with stunning 312PPI Display.Processor & OS The robust 1.3GHZ Quad Core Processor enables seamless multitasking and dynamic performance without any slowdown. 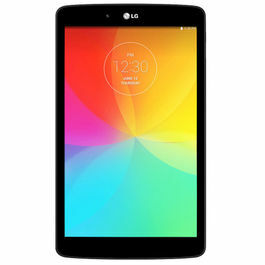 The phone runs on the latest Operating System, Android Lollipop with amazing features like voice search, LG true caller, smart keyboard and many more.ConnectivityShare your favourite pictures, videos, music and more via Bluetooth; connect your phone and PC with USB. 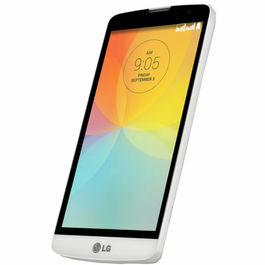 Browse for the world's latest updates with Android Webkit Browser via WiFi connectivity.CameraThe 8MP Camera with LED Flash possess some state-of-the-art features like Gesture Shot – open your hand to activate the camera and it starts the countdown once you close your hand. With the Touch & Shoot feature of this auto focus camera, you can instantly capture images by touching anywhere on the screen. The Front Camera Light of the 1MP Camera lets you capture clear selfies even in dark.Memory & BatteryLG Spirit is powered with a strong 2,100 mAh Battery for usage that lasts all day long. The phone comes with Internal Memory of 8GB that can be expandable up to 32GB. It features dynamic memory for Phonebook, Messages, Calendar, Call History and Email.Multimedia The phone supports ample multimedia features that include music player, FM player, video recording and more. 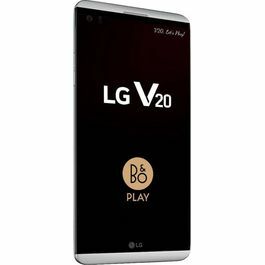 Enjoy hassle free game playing experience with your LG Spirit.Other Features The phone is packed with some other great features like Knock Code – 86,000 possible codes with personalized pattern for secured access to your home screen, Rear Key – for volume control and easy shortcuts placed directly under your index finger when held in-hand. Quickcircle Case, this window makes easy access to the six most used apps by you.Connect with the world smartly with Lenovo A536. 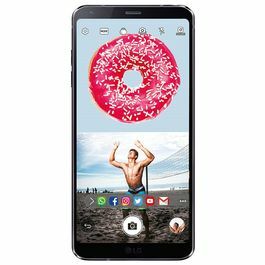 And boast about this one and several other Lenovo's smartphone world!Smartphones that'll go along your standard personality is what LG Mobiles array promises. 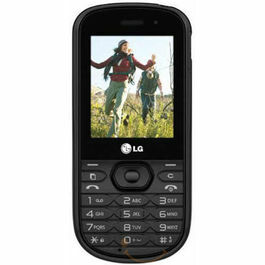 Android mobile phones have brought in the revolution, to the smartphone world. It suits all pockets, and even that grand pa of your's could operate through it's easy interface!Mobiles have not just made our lives easy but also filled them with entertainment.Smarter way of buying smartphones is here; with an expansive range of unboxed mobiles. Infibeam brings you, your choice of phones with the jaw-dropping rates and quality!